This map contains territory of Kazakhstan. detailed map of Pervorosiyskiy for Garmin. interesting map of Vasil'yevka 1 cm to 1 km displayed. interesting map of Myakotikha calibrated download for free. 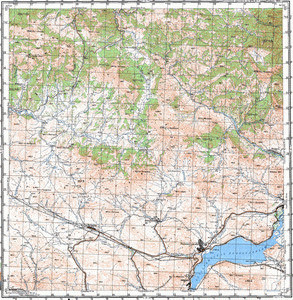 free map of Mironovka for Garmin. map of Lyapunovskiy this. topographic map of Kerechumek 1 cm to 1 km download for free. detailed map of Belyakovka with gps calibration this.